I just ran across an interesting article on the development of a “recycling bank” as a way to incentivize residents of a township to recycle. The program is called Recycle Bank (http://www.recyclebank.com/) and it basically weighs the amount of recycling each household puts out and rewards with Recycle Bank dollars that can be redeemed for coupons to dozens of retailers. I know “dozens” does not sound like a lot, but when I checked out the list, I found a number of retailers that are available throughout the US, as well as some popular online retailers: Jockey, Sharper Image, Discovery Channel Store, ProFlowers, Staples, PetCo, Bed Bath & Beyond, IKEA, ING Direct, and many more. 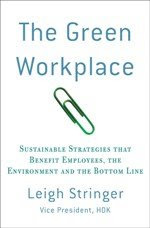 Maybe offices can use this concept for encouraging employee recycling. I’m not quite sure how implementation would go…and of course, the idea is that we want to reduce waste, so rewarding for pounds of recycling misses the people that aren’t generating as much waste. Here’s an idea: maybe offices could periodically spot check employee trash cans and give rewards for those that contain no recyclable materials. A $5 Starbucks gift card could go a long way to improving employee morale and encouraging environmentally-friendly behavior. What are some of your ideas for recycling-related change management? I think this is a great idea, largely because it has the ability to make green fun. Rather than this being a 'big brother' supervisory inspection, it could be part of a lighthearted engagement of the issue. If we are going to change hearts and minds, we need to be seen to be having fun and making a difference, not as killjoys intent on getting rid of consumption. Fun, but useful & green.